Frazee, Marla. Very Good. 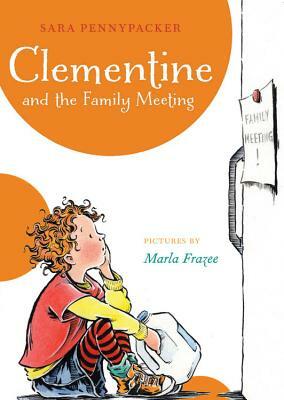 Clementine and the Family Meeting (Clementine (Quality)) by Pennypacker, Sara, 2012-06-19. Trade paperback (US). Glued binding. 176 p. Contains: Illustrations. Clementine (Quality). Intended for a juvenile audience. Frazee, Marla. Very Good. Clementine and the Family Meeting (Clementine (Hardcover)) by Pennypacker, Sara, 2011-09-13. Glued binding. Paper over boards. With dust jacket. 162 p. Contains: Illustrations, black & white, Frontispiece. Clementine (Hardcover). Intended for a juvenile audience. Frazee, Marla. Good. Clementine and the Family Meeting (Clementine (Hardcover)) by Pennypacker, Sara, 2011-09-13. Glued binding. Paper over boards. With dust jacket. 162 p. Contains: Illustrations, black & white, Frontispiece. Clementine (Hardcover). Intended for a juvenile audience.